Plot– Valeria is 17 and pregnant. She lives in Puerto Vallarta with Clara, her half sister. 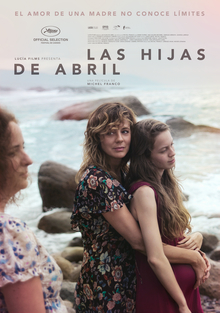 Valeria has not wanted her long-absent mother, April, to find out about her pregnancy, but due to the economic strain and the overwhelming responsibility of having a baby in the house, Clara decides to call their mother. April arrives, willing to her daughters, but we soon understand why Valeria had wanted her to stay away.